Wrongun put me onto this book. Its a great way to record all your captures. You can log all your catches continuously and even draw pics of the lakes etc. 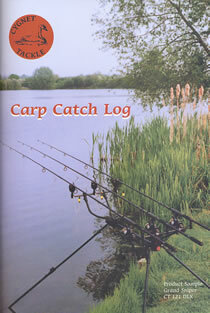 they are a good idea, i've been using a note book for fishing details for some years, but the carp log book is great. Wrongenuk's is still unused ! Admin wrote: Wrongenuk's is still unused !